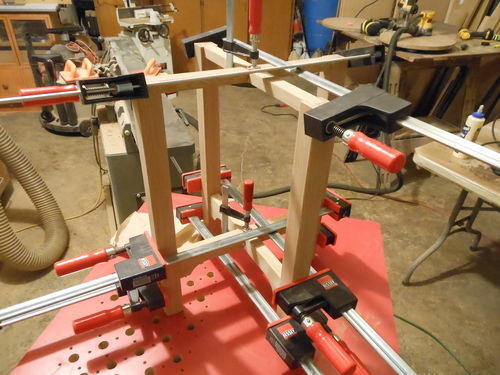 The dry assembly looked good, so I chamfered the ends of the through tenons, and glued up the table. 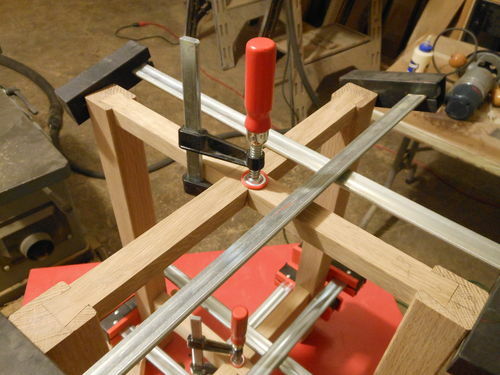 Lapped dovetails secure the top stretchers. 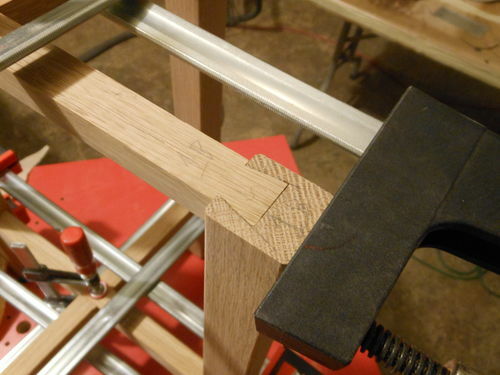 The half-lap joints and the lapped dovetails all came out flush. 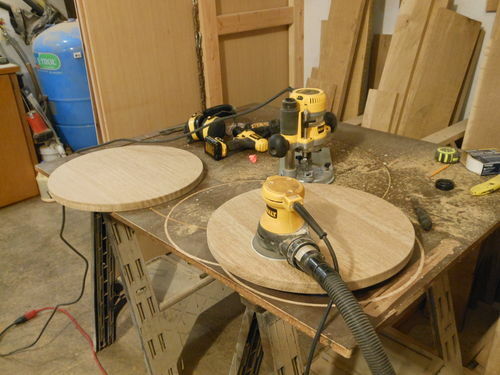 Then I cut the tops with a circle cutting jig and plunge router. I used a 1/4” spiral bit and cut the top free in multiple passes. The 1” thick top came out nice, with minimal sanding at the oscillating belt sander. 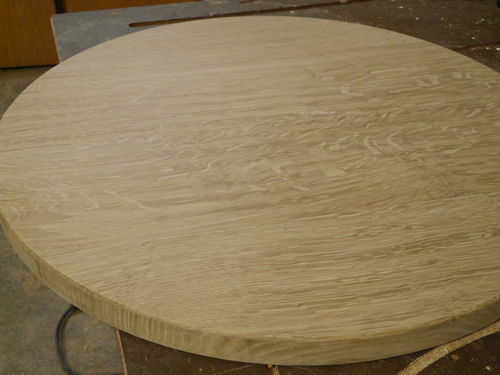 I eased the edges with a 1/8” round-over bit at the router table, and sanded the top to 150 grit. Woo Hooo!!! Every time you post something I start running around the room making funny noises. I really enjoy seeing your work. Another fine project Willie. I love white oak, it really is a wonderful wood to work with and it finishes so nicely too. LOL Jerry… This is going to look fantastic! Looks great so far. Will you be adding a lower shelf? No, there is no shelf on this design. Some similar Stickley tables feature a lower shelf. I am notorious for omitting shelves or making them small and unusable. I would rather look at the furniture than the stack of magazines that will inevitably accumulate there. Dang man, you’re gunna become the next Gustav Stickley! Looking forward to seeing how this turns out!